LAS VEGAS - On June 1st, a hot Thursday afternoon, US Federal Court Judge Philip Pro made it very clear that no matter what Crazy Horse Too owner Rick Rizzolo's plea agreement states, or what the Department of Parole and Probation recommends, the length of sentence, parole or possible probation rests only with the Judge, and will be decided at his discretion only -- not the parties -- based on the seriousness of the charges Rizzolo and his corporation pleaded guilty to. The judge also made it clear that if Rizzolo does not like his penalty decision, its too late to change his mind after the guilty plea was entered. In court, Rizzolo was told he waived his right to remain silent and must explain his crimes. Rizzolo then reluctantly told the judge that he "implicitly agreed to keep no records of cash transactions," at the Crazy Horse Too in order "to defraud the government of taxes." 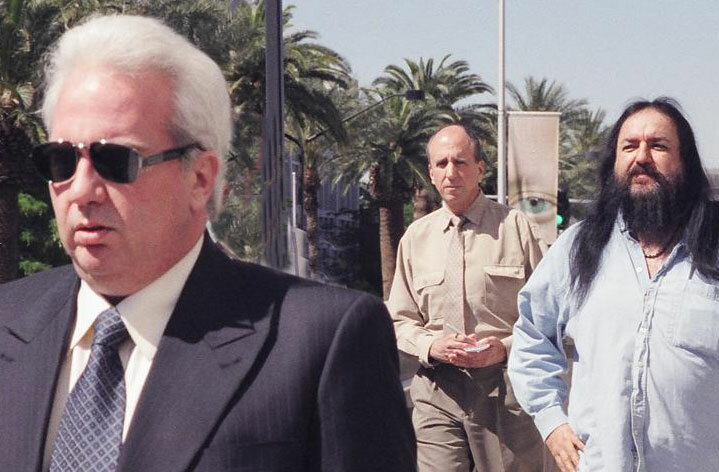 During the hearing, Rizzolo personally pleaded guilty only to tax evasion, while his attorney Tony Sgro representing "The Power Company," a corporation consisting of his brother Ralph, sister Annette, and father Bart, entered on behalf of the corporation (and subsequently its three stockholders) a guilty plea to multiple counts of conspiracy to racketeer. Judge Pro then stated that both the racketeering and tax evasion charges "overlapped." Sgro, to Rizzolo's obvious dismay, agreed with the Judge by saying the charges the corporation and Rick Rizzolo pleaded guilty to "spilled over." After the judge and defense attorney agreed that the charges meld, Judge Pro made a statement regarding his discretion in sentencing. His words caused Rick Rizzolo to appear visibly shaken. The other Rizzolos were not in the court room to lend moral support. Judge Pro asked Rizzolo if he understands that he faces up to five years in prison, three of which can be probation? Rizzolo nervously answered "Yes sir." This disagrees with earlier media statements by Rizzolo's attorney who said his client would serve no more than 16 months in prison, with the rest of his sentence served in house arrest. The judge stated that the corporation pleaded guilty to US Title 18 Racketeering, level 26, which included bodily injury, extorting or robbing payment from patrons through either threats of violence or actual violence in order to promote an atmosphere of fear and respect and to discourage the patrons from disputing charges or questioning management. "I will decide the penalty based on the severity of the crimes," stated Judge Pro -- not differentiating between the two plea agreements. In the event the club and land are not sold within 12 months, there will be a 60 day grace period followed by the federal government appointing a third party who will be responsible for running the Las Vegas Crazy Horse in good faith and finding a buyer at market value. This goes against earlier reports that Rizzolo had bragged that he would "burn the place down" before he would lose it to the government or Henry. My source inside the Crazy Horse told me Rizzolo has a plan to avoid an inevitable receivership action by the Feds after twelve months have elapsed. His alleged plan would keep his father, sister, and brother -- who are supposed to be allowed to run the club for the next twelve months and sixty days -- skimming the daily cash flow for years after he's released from prison. My source stated: "Rizzolo has strung out the govt. leading them to believe that CH2 is a saleable asset and that they (Feds) and Henry will be paid pursuant to the negotiated settlement terms, but the reality is that there is no sale and there will never be a sale because the club is not a marketable asset (even if it weren't under serious Federal scrutiny). Rizzolo's claims that there are many potential suitors for the club is just a lie. Please note that Scores had to be sold under a ten year installment plan that included only $2M down payment, and Cheetahs has no buyers. Rizzolo is perpetuating this lie to avoid an inevitable receivership action by the Feds which will keep him from the daily cash flow. Once the Feds wise up to Rizzolo's agenda, I'm sure a receiver will be placed in the club." Judge Pro also warned that he would not allow any additional criminal acts at the Crazy Horse Too while its being run by the Rizzolos, and that if such acts occur, Rick Rizzolo's plea agreement can be rescinded causing him to be tried by a jury. The judge did not say whether Rizzolo could continue to associate with his Mob pals until his sentencing scheduled for 9:30 AM on September 15, though I've heard rumors he'll still be under surveillance until that date. On Sunday, June 4, Barrier was quoted in the LV Review-Journal: "I was just here to see justice served on somebody who wreaked havoc on my neighborhood for many years." "I was just here to see him get what he deserves." At the end of the hearing, Judge Pro told Rizzolo that bankruptcy would not negate penalties, fines, or forfeiture. The breakdown includes a $500,000 fine, another $4.25 million forfeiture to be paid when the club is sold, restitution of $10 million to Kirk Henry ($1 million to be paid immediately), and $1.7 million in back taxes, totaling $17 million dollars. As a ploy to avoid paying penalties, on May 24, 2005, Rizzolo's attorney convinced him to divorce his wife of twenty seven years and deed most of his assets to her. However, after-the-fact divorces do not shield assets in cases such as this. Also, a four year old harassment lawsuit filed by Gus Flangas, attorney for Buffalo Jim Barrier, is moving forward in District Court. Based on Rizzolo's guilty plea, Flangas filed an 18 page MOTION FOR WRIT OF ATTACHMENT AND GARNISHMENT against Rizzolo's corporation to secure at least a million dollars in the likely event Barrier wins. For several years, as a favor to Rizzolo, the mayor and a councilman sent city inspectors, fire department officials, and parking enforcement officers to Barrier's garage to try to convince him into moving his 30 year old business to make way for a new Crazy Horse Too. The plans for a new building were shattered with Rizzolo's guilty plea. Attorney Sgro says he will ask for probation based on what he claims are Rizzolo's "health concerns." However, he neglected to mention the health concerns of quadriplegic Kirk Henry or the hundreds of other beating victims who suffered at the hands of Rizzolo and his goons. Sixteen of Rizzolo's employees pleaded guilty to felonies. One manager pleaded guilty to "extorting payment from patrons through explicit or implicit threats of violence, and through actual use of force and physical violence against patrons." Judge Pro emphasized that "The federal government will have complete discretion as to who is allowed to purchase the Crazy Horse, and that no member of Rizzolo's family, member of La Cosa Nostra, a person convicted of a felony, or organized crime associate will be allowed to buy the business." Rizzolo was released on his own recognizance. In the meantime he is not restricted from traveling to his second home in Newport Beach, California where many of his La Cosa Nostra friends reside and hang out at the Ritz Restaurant owned by Freddy Glusman who owns Piero's in Las Vegas, another Rizzolo hang out. After the hour long hearing, Sgro met with reporters while his client was being booked. Sgro told the media that 'Mr. Rizzolo's heart goes out to the family of Kirk Henry." Henry's neck was broken by an employee of Rizzolo after he disputed his bar tab. "Mr. (Steve) Miller also refers to another alleged beating that occurred at my club on September 20, 2001. No ‘beating’ ever occurred on my premises on that day. A customer leaving the club drunk did trip, but in no way was this man ‘beaten.’ About the only accurate fact reported by Mr. Miller was the club personnel were standing over the injured man. Of course, Mr. Miller does not mention that my employees were assisting the injured man, as that would ruin his insinuation that my employees had ‘beat up’ this man." After hearing of Rizzolo's guilty plea, Camille Fau, widow of Scott David Fau, a man who was beaten to death in 1995 by Crazy Horse bouncers, wrote to me saying "There is no statute of limitations on murder." Mrs. Fau lost her case because district Court Judge Nancy M. Saitta was ostensibly sympathetic to Rizzolo saying on the record that "Mr. Rizzolo has a good name in the community," and because Mrs. Fau, a California school teacher, could not afford to take depositions or hire an expert witness. Her attorney said his eye witnesses did not show up at trial (after the same judge allowed Rizzolo to sue them for defamation). If Mrs. Fau could now find an attorney willing to finance her case, this would be the right time to re-file her civil action, but this time in Federal Court away from local political influence. Judge Saitta is in the midst of campaign fund raising for a seat on the Nevada Supreme Court. Federal Court Judges, including the Honorable Philip Pro, are appointed for life and do not have to stoop to raising funds from hoods like Rizzolo and his cronies at Piero's Restaurant, a known Mob hangout. Judge Saitta on June 11, 2002, held fund raiser there that she listed as a "Special Event" with the Secretary of State. However, she did not specify the names of those who attended. In the recent trial of Michael Galardi, evidence was presented alleging Rizzolo bragged of paying Saitta $40,000 cash in exchange for beneficial court rulings. It was also disclosed that Saitta attended parties at Rizzolo's home. In May, the jury believed most of Galardi's testimony and convicted two Clark County Commissioners of accepting bribes. Judge Saitta was not charged. Also, with Rizzolo's guilty plea behind him, the Nevada Gaming Control Board has no choice other than to nominate him to be included in the "Black Book," a list of persons excluded from entering casinos. (Excerpt from) NRS 463.151 Regulations requiring exclusion or ejection of certain persons from licensed establishments: Persons included. (c) Notorious or unsavory reputation which would adversely affect public confidence and trust that the gaming industry is free from criminal or corruptive elements. "Virtually every week, Mr. Miller writes an article in the Tribune, and posts that article on his website, disparaging Mr. Rizzolo. On some ambitious weeks, he writes two or three of these articles. I understand the importance of a free press. Mr. Miller is certainly entitled to his opinion and he is entitled to express that opinion in print. What Mr. Rizzolo has always objected to is not Mr. Miller’s negative opinions of him, but of the weekly misstatements of fact. In the hundreds of articles written by Mr. Miller about Mr. Rizzolo over the years, one would be hard pressed to find a single one that was not replete with inaccuracies." "Misstatements of fact?" Replete with inaccuracies?" In the May 15 Las Vegas SUN, City Hall reporter Dan Kulin asked city spokesman David Riggleman if Jim DiFiore, manager of the city's Business Service Division, had any plans to discipline the Crazy Horse Too? In 2004, the city fined Crazy Horse competitor Jack Galardi one million dollars after his son Michael pleaded guilty to a felony. In Rizzolo's case, there were eighteen guilty pleas to felonies, and no city official has yet to mention bringing the Crazy Horse before the council. Riggleman's answer to Kulin's questions sounded very familiar. "The city of Las Vegas is aware of recent news accounts regarding the possibility of a federal plea agreement connected with the Crazy Horse Too ownership..." "When we receive evidence which would support disciplinary action against one of our licensees, we always initiate the appropriate administrative action. If a plea bargain is truly imminent, the city will then request any information that federal authorities can share with us in order to consider administrative discipline on this city of Las Vegas business license." Riggleman made this statement four years after I asked Mayor Oscar Goodman to bring the Crazy Horse bar up on a disciplinary action. Goodman refused, and the beatings and robberies continued. 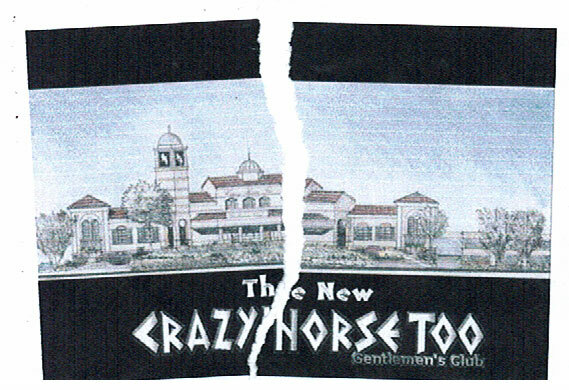 Since then, the Crazy Horse Too has come before the City Council asking for favors such as licensing of Al Rapuano, allowing teenage girls to work as strippers, and zoning variances. The mayor made a brief statement when Rapuano appeared before the council. Goodman said that he had once represented Rapuano, but the mayor's stooge, City Attorney Brad Jerbic, obediently stated that it was long ago and posed no ethical conflict. However, Goodman had never publicly disclosed that he also represented Rick Rizzolo when Rizzolo pleaded guilty to beating Rick Sandlin with a baseball bat. Sandlin died three years later of his injuries. With Goodman's paid help, Rizzolo did not have to serve jail time. Nor did Goodman disclose that his current law partner David Chesnoff represents Crazy Horse manager Vinny Faraci in the present Federal action. Goodman's lack of forthrightness inspired a complaint to the Nevada Commission on Ethics. The complaint was later dismissed, but not before it inspired Craig Walton, professor and program coordinator of ethics and policy studies at the University of Nevada, Las Vegas, to tell the Las Vegas SUN that disclosure by elected officials in Las Vegas should happen if there could be even a perception of impropriety. "I think you should disclose when you know there is room for eyebrows to go up," Walton said. "There's always innuendo and cynicism out there and some bad cases that have happened. Some of the people in the community are really dubious about honesty of government. What do you do? Maybe disclose a little more just to make it obvious to everyone and put any doubts to rest." Amazingly, after the Crazy Horse had been the scene of over 700 police responses in just three years including 9 for assaults and 6 for robberies involving bar employees, Mayor Goodman said the following on August 5, 2004 when reporters touched a raw nerve during a televised press conference. After reading Riggleman's statement, it should sound familiar. GOODMAN: No one, no one's asked that other than "Captain Truth," no one's ask me to ah, I, I haven't had a request from anybody to have an order to Show Cause. Prior to his election as mayor, Oscar Goodman was famous for charging Mob clients $500,000.00 as a retainer for his legal services. It will be interesting to see if Mayor Goodman runs interference for his former Mob clients now that another million dollar fine is being mentioned. He can always say for the first time that he has a conflict of interest, and recuse thereby letting his Mayor Pro Tem officiate at the Show Cause hearing. Of course, if he does he'll be admitting he should've also recused during previous occassions when the Crazy Horse received favors from the City Council. And it remains to be seen if the FBI is finished indicting those public officials who helped the Crazy Horse be so profitable while causing such misery.